At this year's Mobile World Conference in Barcelona, a lot of attention was placed on the soon to be the new standard of mobile data transfer aptly referred to as 5G. 5G marks a revolution in the field of communications and technology. It is the next major phase of mobile telecommunications standards after the 4G/IMT standards. The 5G network will provide 50 times the through put of the currently available 4G LTE network. Further, 5G technology is designed to be more power efficient than any other available standard wireless network. Therefore, 5G-enabled mobile devices are likely to last longer than their 3G or 4G counterparts. Moreover, super fast 5G mobile networks will be of utmost importance for the management of the exponential growth in Internet-connected devices, popularly known as IoT. It is expected that 5G mobile handsets will be available in the market by 2020, following a broader roll-out of the technology. While commercial 5G handsets will be first made available in South Korea and Japan and are likely to be exorbitant. Why is 5G an improvement on 4G? Current 4G LTE networks used by customers may be far less, often no higher than 30Mbps on downloads, from the US's major wireless carriers, according to various field tests by independent testing companies. It is expected that once the roll-out is complete 5G will be offering theoretical top speeds of 400Mbps or higher. 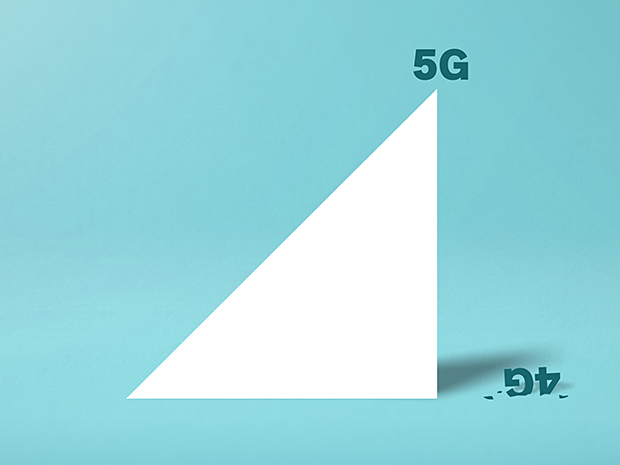 5G makes use of massive bandwidth, and low latency from 5G will help self-driving cars and mobile augmented reality and virtual reality headsets. When and where will the first roll out begin? US network carrier AT&T's 5G wireless network just got much more tangible. The carrier has announced that its ultra-fast wireless will launch in two cities, Austin and Indianapolis, sometime later in 2017. And while it's still early days, the company is confident enough to set some performance expectations. Initially, these 5G areas will deliver peak speeds of 400Mbps or better. And there's definite room for it to grow -- carrier aggregation and other techniques should push that to 1Gbps in "some areas" this year. The roll out is part of a larger network platform upgrade, nicknamed Indigo, that promises to be more adaptable and responsive. It'll put more of an emphasis on software-shaped networking (covering 75 percent of the network by 2020) and lean on technologies like machine learning. AT&T is even open-sourcing the code for its network's orchestration platform, ECOMP. How long before 5G becomes the worldwide standard? With 5G already planned in the US for this year, we expect the next 3-5 years before a global roll out begins. A potential stumbling block for the roll out could be the fact 5G handsets are not yet available. If you want to know more about 5G, when it will be available and how it can be applied to your business, then contact us directly here.